In Japan, shortly after the introduction of Nintendo's Famicom (Japan's version of the NES), the electronics giant NEC entered into the video game market with the introduction of their "next generation" system, known as the PC Engine (PCE). The PCE boasted a 16-bit graphics chip capable of displaying up to 256 colors on screen at once, at a number of resolutions. Although its CPU wasn't much more powerful that of the NES, its spectacular graphics chip and six-channel sound bettered the Famicom in every way. 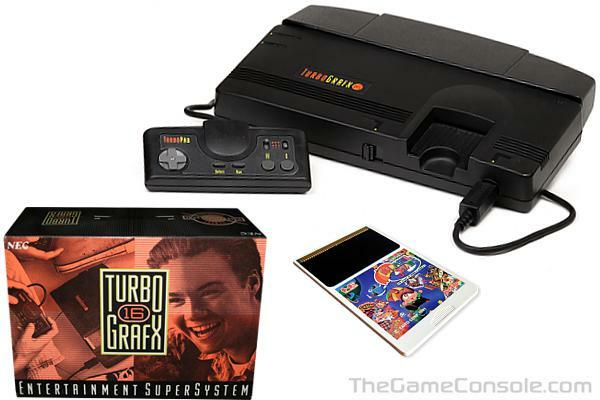 It utilized a sleek new card format (PCE games are either HuCards or Turbochips) to hold its software, rather than bulky cartridges. It was also the first console to boast a CD-ROM drive, for full orchestral soundtracks and even (gasp!) full motion video. The PC Engine was immensely popular in Japan, outselling the Famicom by a significant margin. In 1989, two years after its Japanese introduction, NEC announced plans to bring the PC Engine overseas, to the booming video game market of the U.S. With a huge library of Japanese software, it seemed to many as though the system couldn't possibly fail.